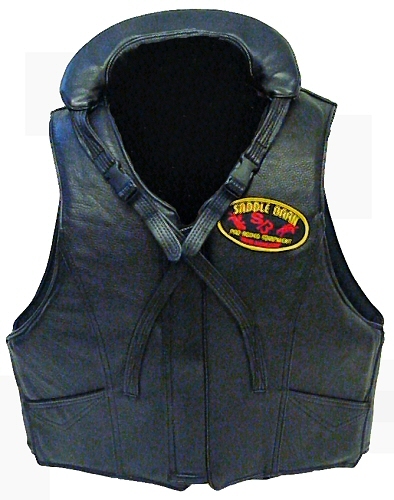 Top grain leather outer shell with segmented internal components, zipper front with adjustable Velcro® panels. 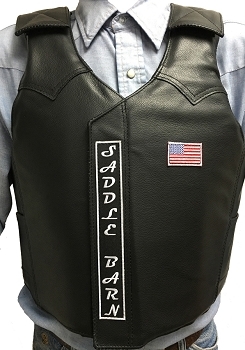 Comes with neck brace to support neck and spine. 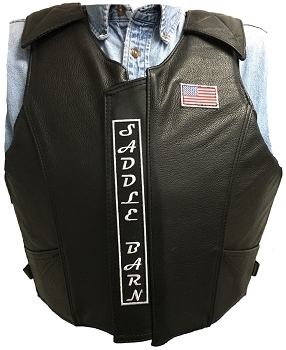 Recommended for riders that wear helmets or face masks during competition. 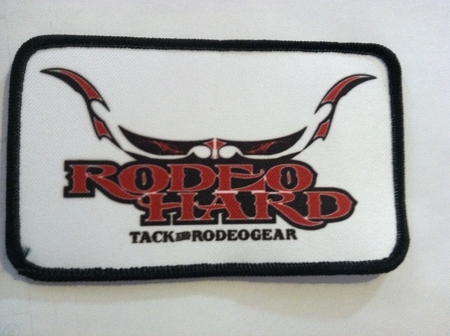 Black with Saddle Barn® Pro Rodeo Equipment patch. Available in various tall sizes.